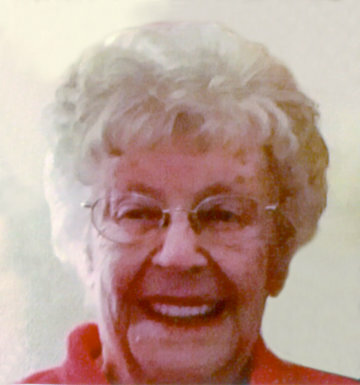 Emma “Lou” Robinson (nee Page), of Saint Peters, MO, passed away Thursday, February 7, 2019, at the age of 87. Loving wife of the late Joseph Robinson; beloved daughter of the late CL and Flossie Page; devoted mother of Michael (Susan) Brewer; cherished grandmother of Justin Brewer; stepmother of Fred Otto, Sherry Payne, and Allen (Deborah) Bruce; treasured step-grandmother of Jennifer (Mike) Vance, Kristine Bruce, Amanda Gilbert, and Brant Robinson; treasured great-grandmother of five; and is also survived by her loving dog and companion “Patches.” Lou is preceded in death by her stepdaughter, Suzy Robinson. Lou enjoyed watching her sports teams on TV every night along with the evening news. She also enjoyed her game shows (especially the Price is Right and Wheel of Fortune). Most of all, Lou loved spending time with her family and going out to lunch with her friends. Lou was dearly loved and will be greatly missed by all who knew her. In lieu of flowers, memorial donations can be made to ASPCA or Leukemia & Lymphoma Society. Michael & Susan so sorry for your loss. Prayers for the family. Prayers for strength during these difficult days. Michael & Susan, sorry for your loss. Prayers for family. Prayers for strength during these difficult days. Mike as you know I have known your mother 55 years. She has always been a special friend to me! Although we haven’t seen one another in many years we have stayed close thru telephone visits. I will miss that time that we had together. I know that you will miss her as well. She really loved Patches and he was much comfort for her and was always talking about him! Knowing how much she loved him.. I am making a donation to the ASPCA in her honor because of her love for Patches.